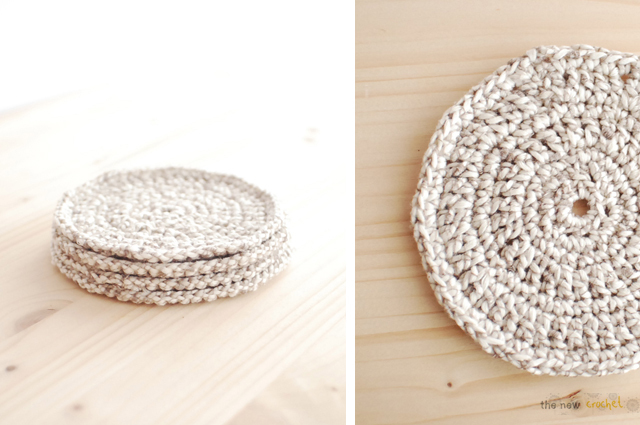 I know that these coasters are not so special but often simple is the best and goes with any trendy, modern interior. I have found this yarn (beige) surrounded by this thin dark brown yarn. 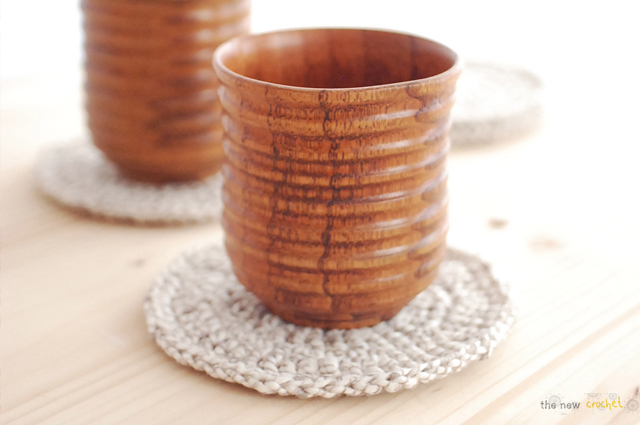 The 2 together create this special effect and make this simple coaster even look special. You could actually make your own yarn, you choose a basic colour, for example white and you can double crochet it together with any colour sewing thread. You will see that it will give this great effect. You might not be able to find the colour to crochet but you can create your own by mixing the colours you like!! Row 8: ch 1, 2 sc in same stitch, 1 sc in next 4 stitches * 2 sc in next stitch, 1 sc in next 4 stitches * repeat, connect to 1st sc and finish off. Very nice, thanks for sharing. I've made bigger ones and used as coasters for plants. Love the simple elegance of these. 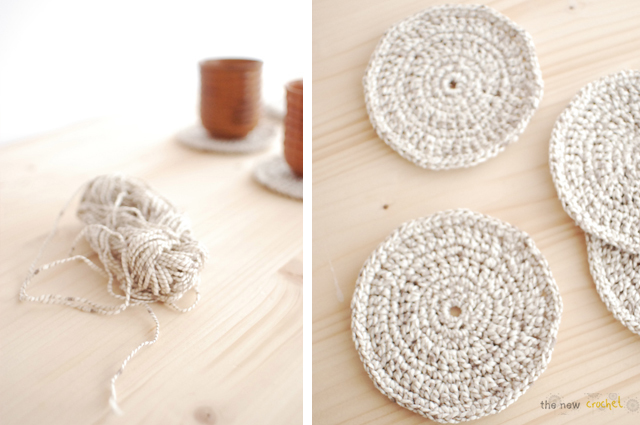 could this be used to make a rug if you used a larger hook?